Schlock-Wire: Scream Factory Comes Out Swinging With ZOMBIE FIGHT CLUB On Blu-Ray In February – Schlockmania! Brace yourself for a gritty, zombie apocalypse action film that delivers non-stop action, edge-of-your-seat thrills, bloody violence and gore in equal measure. 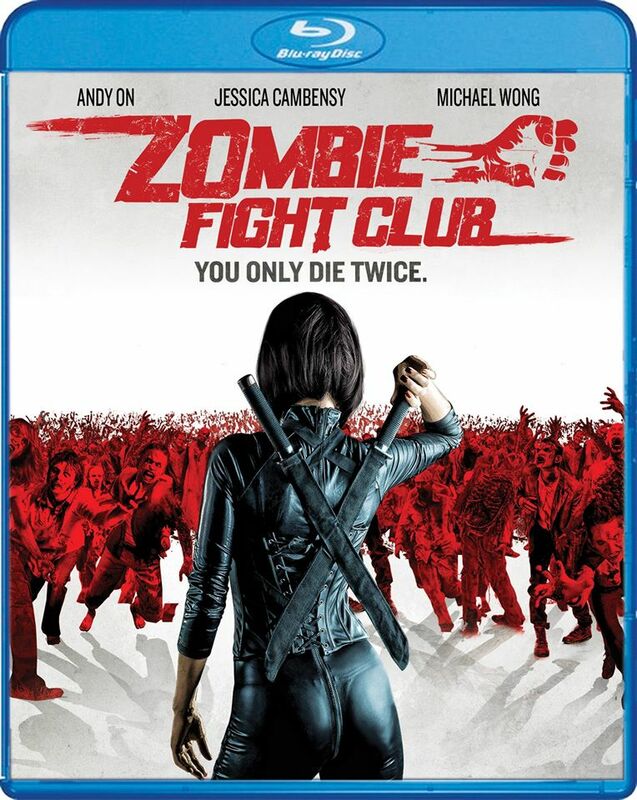 On February 2, 2016, SCREAM FACTORY™ is proud to unleash ZOMBIE FIGHT CLUB on Blu-ray and DVD, as well as being made available on digital entertainment platforms. This much-anticipated film premiered overseas and at numerous film festivals to great audience enthusiasm. ZOMBIE FIGHT CLUB is a must-have for action movie fans, zombie terror enthusiasts and movie collectors. ZOMBIE MAYHEM, REVEALING BONUS CONTENT AND MORE! In a corner of the city, in a building riddled with crime… there is an outbreak of zombies. When one young woman (Jessica C, Double Trouble) witnesses her boyfriend falling victim to the zombie horde, she must team up with a police officer (Andy On, The Viral Factor, Special ID, Cold War) in order to stay alive and escape the building. But the once warm-hearted chemistry teacher, Wu Ming, is now the zombie leader following the chaos, which has transformed him into a cruel, vicious and formidable opponent. Terence Yin (Lara Croft Tomb Raider: The Cradle of Life, Special ID), Michael Wong (TRANSFORMERS: Age of Extinction, Firestorm, Seven Swords), Jack Kao (Shinjuku Incident, Flying Swords of Dragon Gate) and recording artist MC HotDog also star in this no-holds-barred, martial-arts-meets-walking-dead masterpiece! Both Blu-ray and DVD editions boasts English and Mandarin audio tracks, English subtitles and insightful bonus content.